By now, the college basketball world knows that UMBC stands for the University of Maryland, Baltimore County. The Retrievers’ historic appearance in the NCAA men’s basketball tournament, where they became the first No. 16 seed to earn a victory in 136 tries, also went over pretty big in Anne Arundel County. UMBC is coached by Ryan Odom, a 43-year-old whose second year at the Catonsville school produced magic. Odom and his wife, Lucia, are parishioners of St. Mary’s in Annapolis. Their children, Connor and Owen, are in the 10th and fifth grades at St. Mary’s School, respectively. Connor played on the Saints’ varsity basketball team this winter. Odom’s senior standouts included leading scorer Jairus Lyles, a product of DeMatha Catholic High School in Hyattsville, and Jourdan Grant, a sixth man from Archbishop Spalding High School in Severn. 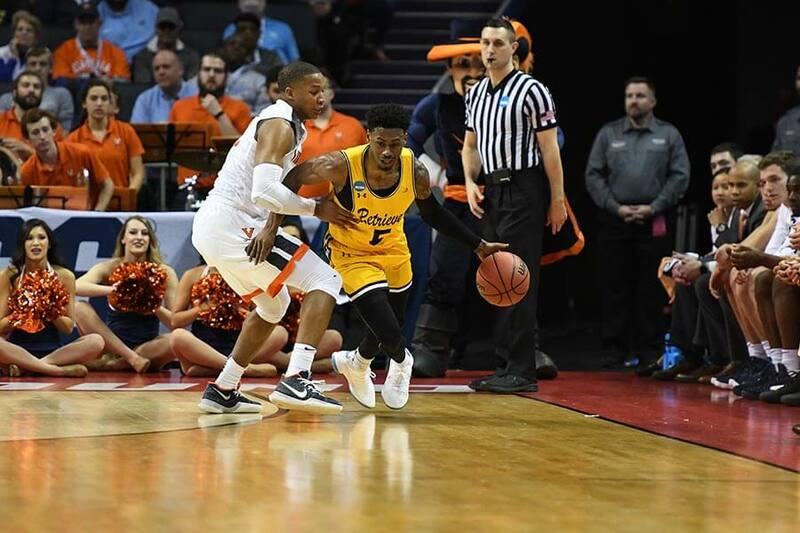 Grant, a media and communication studies major, is the epitome of the team concept that allowed UMBC to rout top-ranked Virginia, 74-54, in the first round of the NCAA tournament in Charlotte, N.C., March 16. The ultimate Cinderella lost in the second round to Kansas State March 18. The 6-foot-2-inch Grant set a UMBC career record by playing in 129 games. 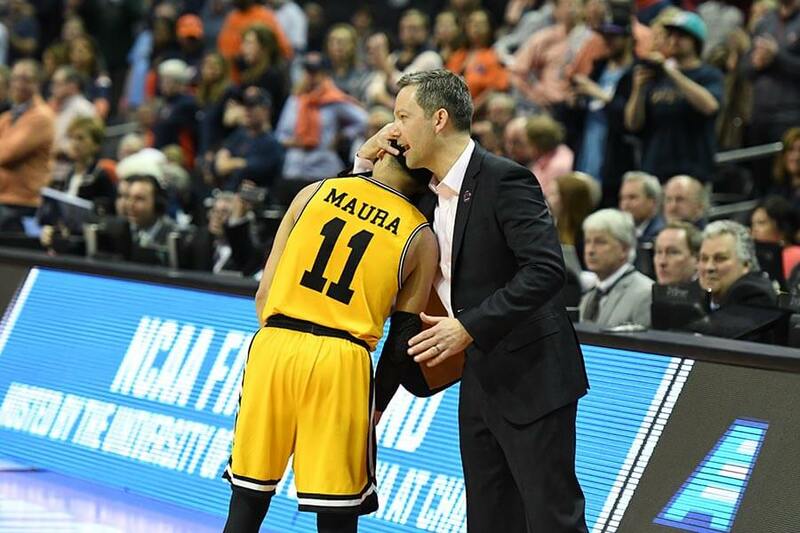 He started on losing teams as a freshman and sophomore, and took on a reserve role when Odom was hired before the 2016-17 season and guided UMBC to back-to-back 20-win seasons for the first time in their 32 years of Division I play. Grant was back in the starting lineup at the start of this season, but came off the bench in 20 of the Retrievers’ last 21 games. For the season, he averaged 7.5 points, 2.4 rebounds and 2.6 assists, third on the team behind K.J. Maura, the charismatic little point guard from Puerto Rico, and Lyles. “Jourdan always understood what made a team successful,” said Derrick Lewis, his coach at Spalding. A Bowie resident, Grant came to Spalding more highly-regarded as a baseball prospect, but made the Cavaliers’ varsity basketball team as a freshman. As a senior, he averaged 18.5 points, 5.3 assists and 4.2 rebounds, but Lewis remembers his willingness to do anything for the good of the team. Grant made the BCL all-tournament team in 2013, when Spalding finally lost in the championship game to Mount St. Joseph High School and Phil Booth, the hero of Villanova’s 2016 NCAA championship game win over North Carolina. While Lyles’ three-pointer at the end upset Vermont in the championship game of the America East tournament March 10, Grant had a team-high four assists and shut down the Catamounts’ top perimeter threat down the stretch. Against Virginia, Grant hit two big three-point shots and gathered four rebounds, as the Retrievers overwhelmed the Cavaliers and became a sensation on Twitter thanks to athletics director of multimedia communications Zach Seidel, whose father, Jeff, is a contributor to CatholicReview.org. Seidel promoted UMBC’s record of academic distinction – it produces more black M.D. and Ph.D. degree-earners than any college in the country – and its underdog status, apropos given that its mascot is the Chesapeake Bay Retriever. When Grant was a Spalding senior, he was in Mahar’s Honors Global Issues class. Grant is among approximately 40 Spalding graduates currently enrolled at UMBC. UMBC’s assistant coaches include Eric Skeeters, who attended St. Mark’s School in Catonsville and got his coaching start as an assistant at St. Frances Academy under Baltimore Catholic League Hall of Famer William Wells. 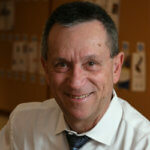 Father John Rapisarda, pastor of Our Lady of Victory in Arbutus, is the chaplain of Catholic Campus Ministry at UMBC. The university’s previous most notable athletic notoriety came from the men’s soccer team, an NCAA semifinalist in 2014, which is coached by Pete Caringi, a graduate of Calvert Hall College High School in Towson and parishioner of St. Joseph in Fullerton.